Stereo Depot offers the very best car window tinting services in San Diego and El Cajon. Window tint can protect you from UV radiation & will protect your car's interior from damage. STEREO DEPOT in San Diego and El Cajon installs the best window tinting in San Diego from manufacturers such as Solar Guard & SunTek. 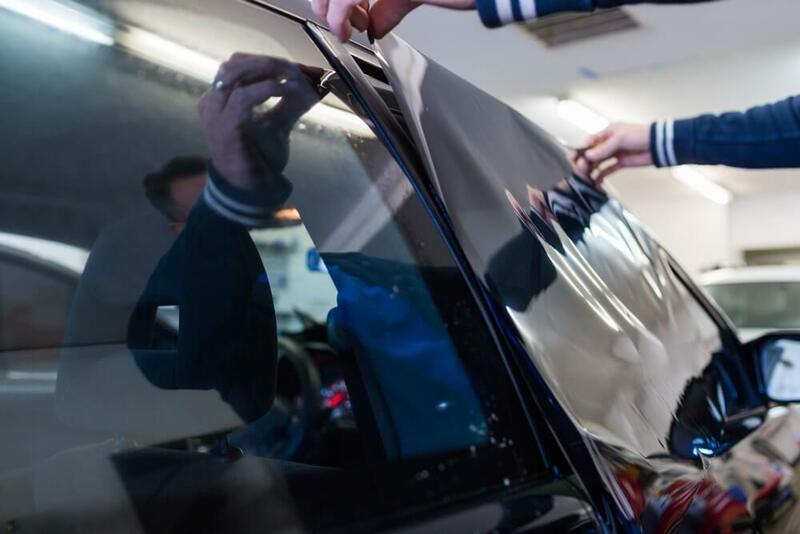 Car tinted windows and window tinting is a great way to not only make your car look great but also has numerous benefits, that you can read more about below. When you live in San Diego, the sunshine never stops. The unrelenting glare of the sun means it gets hot. Window tinting in San Diego works well to help keep the temperature down in your vehicle, making your air conditioner not have to work so hard when it’s hot outside. Not only does this make your car more comfortable to be in, it also helps save gas and money by cutting down on how often you use your A/C. The constant presences of beautiful and sunny days also can be dangerous. Currently 1 in 5 Americans will develop some fgorm of skin cancer in their lives, oftentimes the result of overexposure to the sun. Window tinting in San Diego can help fight skin cancer. Tinted windows installed on your car helps to reduce UV exposure, protecting you as well as the interior of your car. Car window tint shields your eyes from the glare of the sun and other sources of extreme light so your vision isn't compromised while you're driving. Window tinting in San Diego not only makes your car look great, it also can save you and your car from unnecessary danger and accidents. Tinting your car windows helps to keep them from shattering upon impact with an object or in the event of an accident. That way if you ever were to get in a serious accident, you have one less thing to worry about. No shards of glass will come flying at you in most cases with window tinting in San Diego. Stereo Depot offers a lifetime warranty on the labor for window tinting in San Diego. We are confident in the quality of our window tinting supplies, as well as our experienced and trained specialists. When you come to Stereo Depot for window tinting, we know you will be satisfied with the work we do for you, and that is why we offer a lifetime warranty. Stop by one of our two stores in San Diego or El Cajon & we will equip your vehicle with a window tinting install. Stereo Depot offers the very best car window tinting in San Diego! Give Stereo Depot a call at our San Diego location at (619) 736-9964 or our El Cajon location at (619) 873-4641.